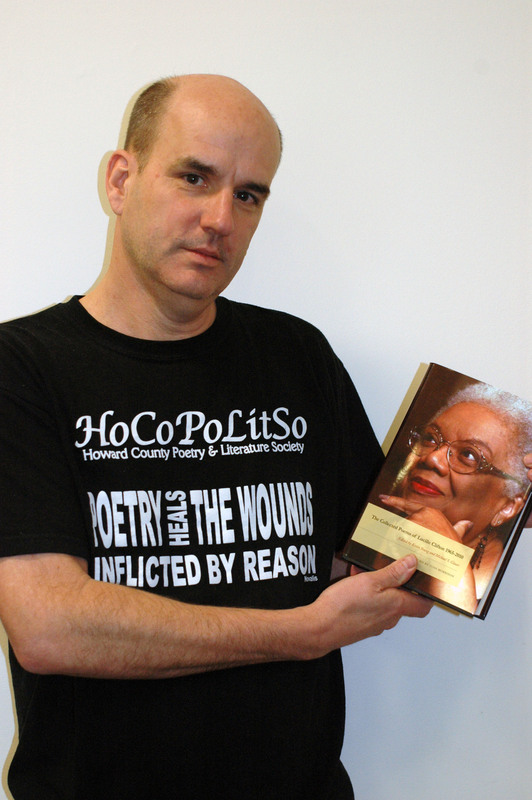 At a recent HoCoPoLitSo board meeting. 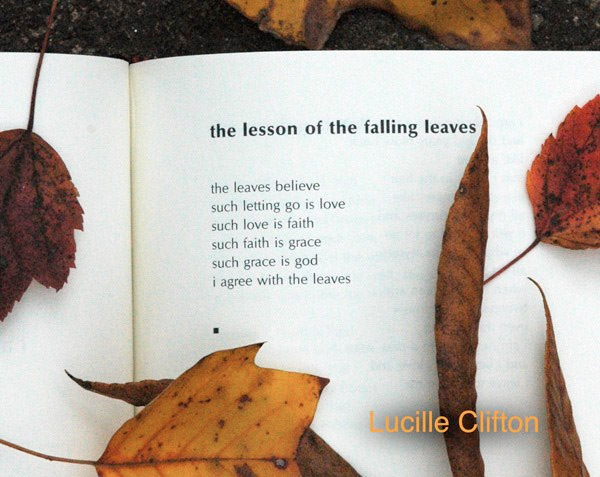 We were all missing Lucille, happy to have the newly published Collected Poems on hand. 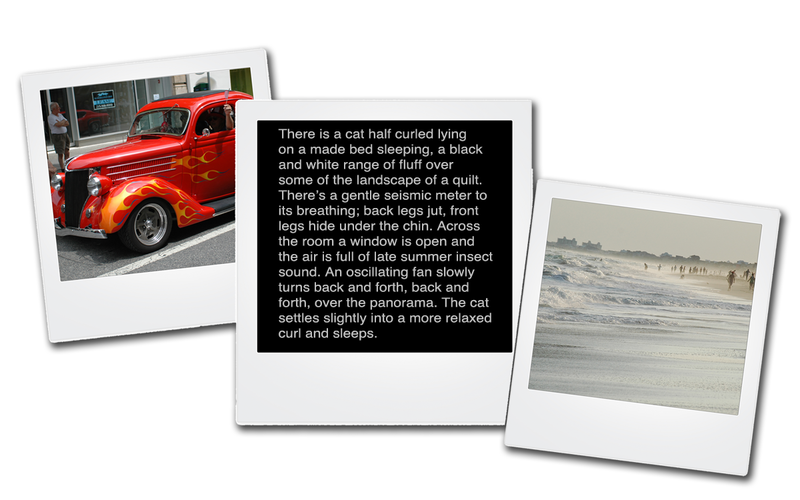 A simple writing exercise: In a hundred words or less, snap a picture. Speed, observation; no insight, no emotion. Open the senses, let the words settle and the image tell. 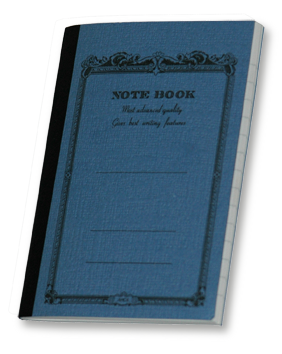 Just like a Polaroid, the image reappears, developed in this case by reading. Just like photography, some pictures are good, some not. Some pictures you keep, some you discard. Each, though, is a useful practice of awareness, perception. Click the image for a larger view. Click on that image and it will get even larger. You are on your own from there. For a pdf file of the Columbia Association Art Center catalog for Fall 2011, click here. It includes registration, directions and other important information. 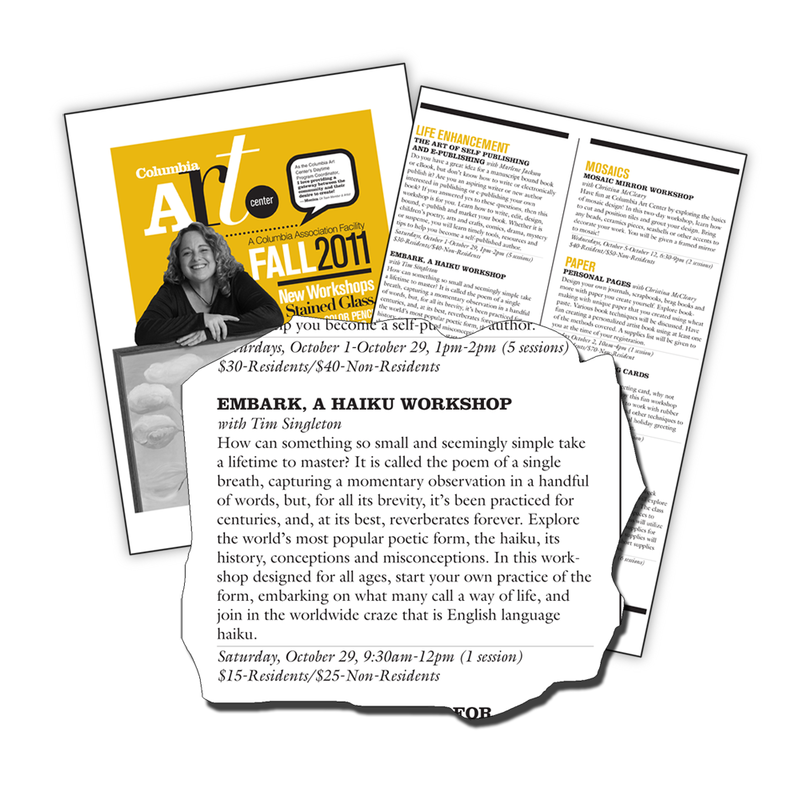 The “Embark” workshop is listed on page 14. I’d love to see you there.